Donate your post-yard sale or re-usable items to The Purple Heart Foundation! A Green Drop truck will arrive at registered homes to pick up donations. The driver will leave a tax receipt at your door. *You do not need to participate in the Yard Sale first, all East Stratford residents can donate. 1. Register by emailing your name and street address to [email protected] (deadline Wed 4/25). 5. 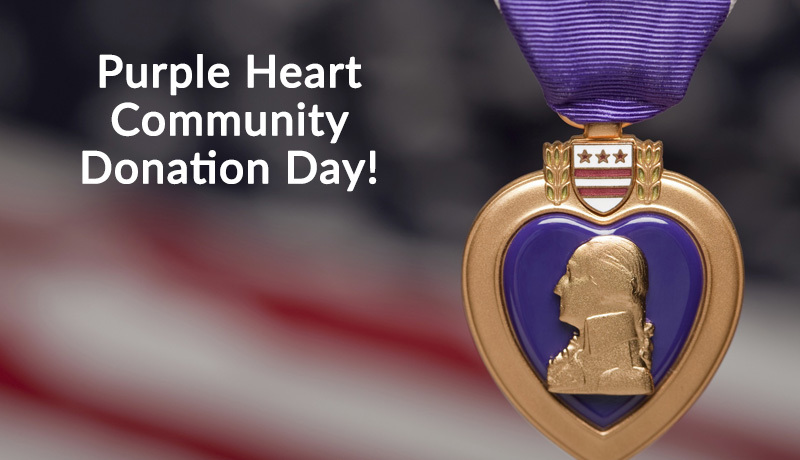 Those who register will receive “Purple Heart” labels, delivered to your door on Saturday 4/27, as a courtesy from the East Stratford Social Committee. 6. You are responsible for removing any items from your yard that are not accepted during Donation Day within 24 hours. *This event is sponsored by the East Stratford Social Committee.